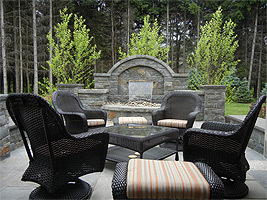 Are you looking for an exciting and new outdoor space? Tired of calling contractors and no one shows up? Not sure where to start? 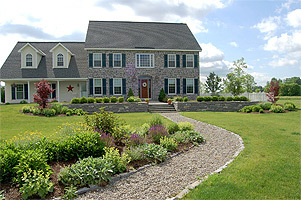 Try Landscape Design/Build Services from Peak Environmental. 1. Do you have some exciting ideas for you property? Give us a quick description of what you would like to build, we will get right back to you to set up a consultation. 2. Are there specific landscape features that you want added to your design? We will survey the property, discuss layout and material options with you as well as provide rough estimates for each landscape feature. 3. Do you want to be sure the design is right? As we develop the plan, we will assist you in choosing the materials that best represents your style. 3-D drawings can be developed in order to take any guess work out of what the final product will be, and a maintenance estimate will be presented. 4. Can the construction process be fun and exciting? Once the Smart design has been finalized, the work will begin quickly, and will not stop until the project is completed. Our project managers, green industry technicians and our core group of subcontractors will make every effort to complete the work with as little inconvenience to you as possible. 5. Can we make sure your happy? As the project nears completion, we will do a "walk through" of the new space. During the walk through we will discuss any punch list items, discuss key maintenance considerations, and provide warranties as well as the final invoice.